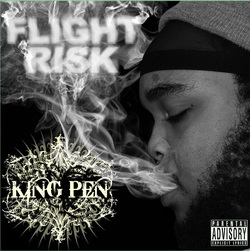 KingPen the artist is a living urban legend in South Florida. His skills have become the talk of the South Florida music scene before any performance. In fact only a select few know his true identity. Leaving KingPen the cover of anonymity to move about without the distraction of limelight. There are no posters up, no image of a heavily bejeweled gangster plastered on MySpace, Twitter or Facebook. His lyricism both luminous and fresh are reminiscent in essence to the known greats of Hip Hop. His style is an eclectic group of superb assets - appeal to audiences who love sounds of east coast, west coast and the dirty south. With the consciousness of thought and surrounding, his life is his muse and reality the story he shares. KingPen's MC skills are undeniable. His ability to present story telling, rhyming and harmonious emergence with music and purpose make each song a collector. He is currently working in studios anonymously recording when studios are least likely to be filled, working with hit producers, a newly signed public relations agency, booking agent, tour promoter and sound engineer.